Vidya Balan turns down Sadma reboot: Are remakes about reinventing classics, or creative laziness? 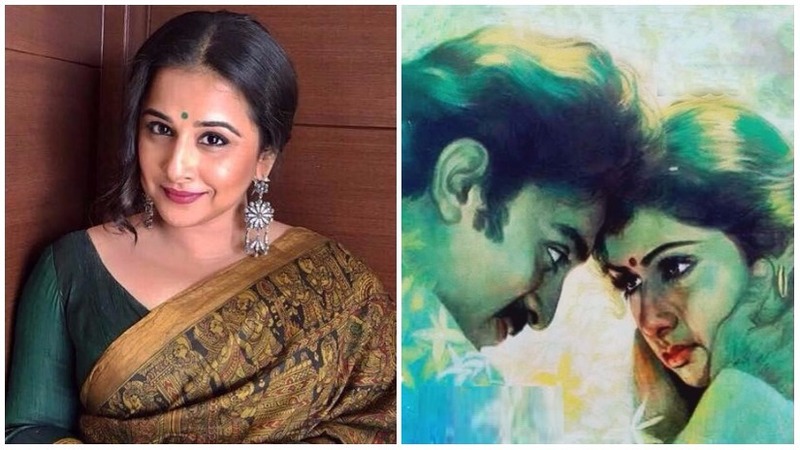 Recently, while speaking about revamping Sridevi’s iconic song ‘Hawa Hawai’ from Mr India in her upcoming Tumhaari Sulu, Vidya Balan revealed why she said no a remake of Sadma. Balan mused that some films shouldn’t be touched and cult classics such as Sadma ought to be left alone. Balan’s statement comes at a time when Abhay Chopra’s Ittefaq (2017), an adaptation of the 1969 Yash Chopra film by the same name featuring Nanda and Rajesh Khanna, is playing in theatres. This is not the first time Vidya Balan has reportedly been offered a remake. In fact, in October 2017 while speaking about the film Arth as an ideal example of yesteryear film that could be contemporised, Shabana Azmi also suggested Vidya Balan as the perfect choice to reprise her role. While Balan said that she was humbled by the compliment, she believed that classics such as Arth like Sadma should be left untouched. Since the 2000s — or more specifically with Farhan Akhtar’s remake of Chandra Barot’s Don (1978) — remakes have entered a new era. Remakes were always considered easy pickings but with Akhtar’s version that featured the then box office king, Shah Rukh Khan, and big money invested in stunts and special effects, the remake became a sub-genre. This second coming of Don (2006) coincided with the transition Bollywood was going through, towards corporatisation. One of the consequences of this was that the concept of a film as a ‘property’ took root and the ‘official’ remake made its way into the Bollywood pantheon. Where older films had been once been ripped off willy-nilly, now rights to the original were sought before attempting a reprise. As a result, any credible production house’s library now becomes worth its weight in gold — the legal tussle for Pakeezah’s rights is a testimony to that. It’s interesting that at the time when the identity of Don as a Salim-Javed and Amitabh Bachchan classic changed to a Farhan Akhtar-Shah Rukh Khan entertainer, a proposed remake of Guide (1965) was also being discussed. Intriguingly enough, the supposed remake (then tentatively called ‘Rahgir’ or ‘Rehguzar’) was to be produced by Pritish Nandy, directed by the late Rituparno Ghosh and reportedly featured Akshay Kumar and Vidya Balan in the leads. The legendary Dev Anand, who had produced the 1965 Vijay Anand-directed original, shot off an angry missive to Nandy’s company, threatening them with legal action if they went ahead with the remake. Abhay Chopra, the director of the new Ittefaq is the grandson of BR Chopra (the producer of the original), which made the remake a no-brainer. A Ram Lakhan remake by Rohit Shetty has been in the pipeline forever; Pooja Bhatt recently announced a Sadak sequel; Mahesh Bhatt is believed to have been working on a Dil Hai Ki Manta Nahin remake; and earlier this year, David Dhawan remade his own Judwaa with son Varun Dhawan. The remake may be seen as a reinvention — but in most cases, it’s just a lack of new ideas. Many actors, like Vidya Balan, have expressed their reservations about remakes. Christopher Lee, for instance, said of the remake of his The Wicker Man, which featured Nicholas Cage, that he simply didn’t see how it could possibly work, adding, “You might as well remake Citizen Kane“. Some, like Nancy Allen of the original Robocop (1987), were troubled by studios taking a perfect piece and try to milk more money off it; the film’s director Paul Verhoeven commented that it was so depressing that he should “be dead.” A 2000s re-imagination of a classic from the 1960s or even 1990s would no doubt be glossy and beautiful and it might even entertain, but when it comes to some films such as Sadma or Guide can the original’s soul ever be replaced?